Play is serious business for young children. Fostering a creative activity provides children with motor skills, sensory exploration, problem solving, and creative thinking, among other skills. Because time passes by so quickly, it’s important for families to make time for one another. 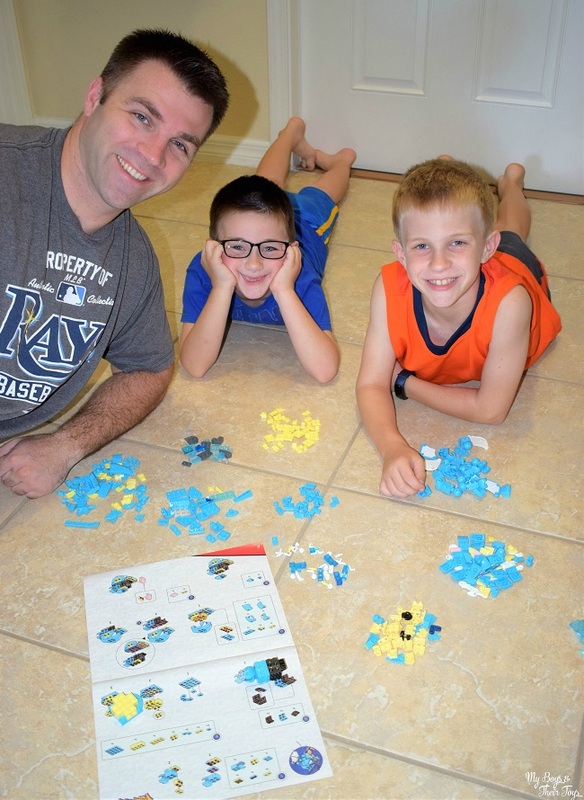 We make a big deal out of play in our household, but not just any play; we focus on play that’s meaningful, like board games, or Mega Construx™ building bricks. Take time to play, even if it’s 15 minutes a day. Those moments will forever bond you and your child. With infinite toys available on the market, it can be tough deciding which one’s right for your child. What I really appreciate about the MEGA™ brand is their scope of building brick toys. Beginning with Mega Bloks®, which introduces toddlers to their first blocks, to Mega Construx™ immersive sets that offer older fans a different play experience. 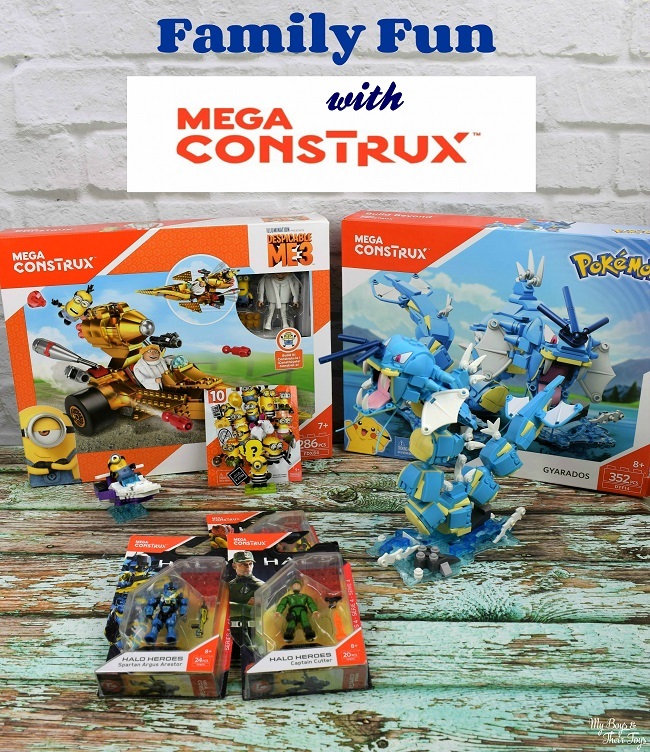 Our newest MEGA™ building toys are some of the boys’ favorite characters, Despicable Me and Pokémon. The boys worked together to build Balthazar’s speedboat. 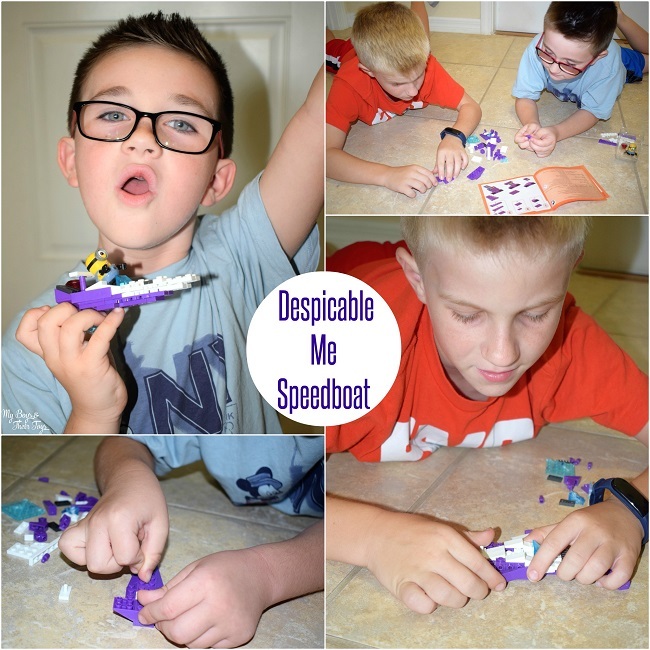 Inspired by the Despicable Me 3 movie, the building set includes 67 pieces and a minion to drive the getaway boat with attached gem. With easy-to-follow instructions the boys were able to master this building toy in roughly 15-20 minutes. Then the creative play began! L gathered his other minion toys, including the Micro Action Figure blind bag minion, to take them on a daring adventure! 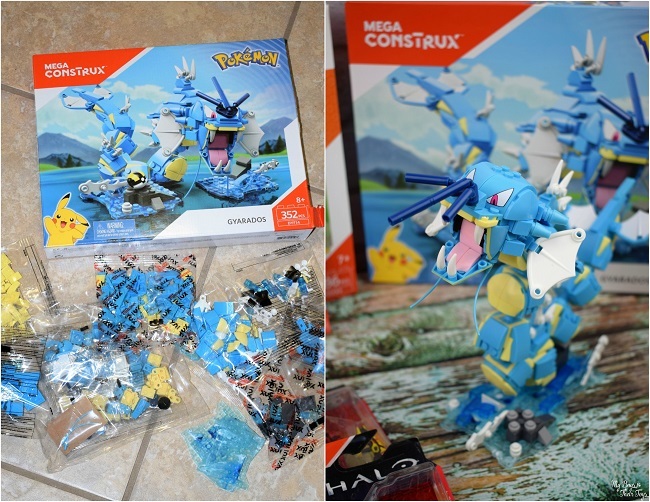 They called for reinforcements when building their next Mega Contrux™ set, Gyarados from the world of Pokemon. This 352 piece set assembles into a 9-inch Pokémon figure. 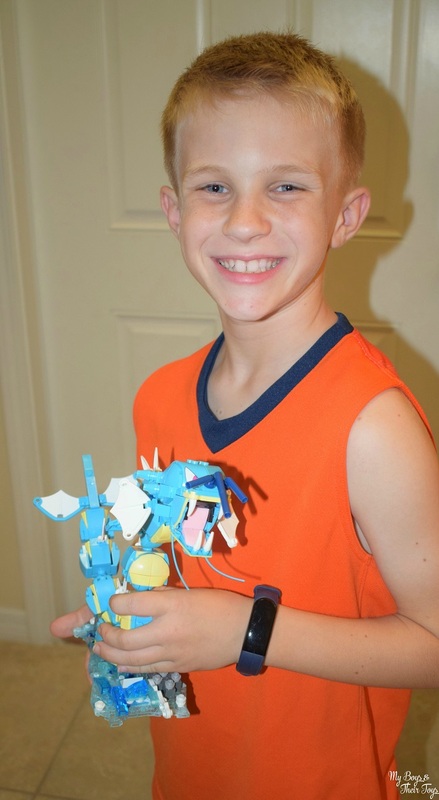 Nate and the boys had a blast building this water Pokémon figure. It took them a couple of hours to complete, and was a nice Sunday afternoon activity to do as a family. Gyarados looks pretty fierce with his articulated body and iconic fins, fangs, and spikes! And I love that it cost less than $30 for such a fun building toy! Whether your child wants to play after building, or break it down and do it all over again, there are endless possibilities with MEGA™ building toys. J decided that he wanted to display the Pokémon Gyarados on his shelf for the time being. He’s proud of his completed project. Do your children enjoy creative play and building toys? Check out the variety of toys in the MEGA™ shop! 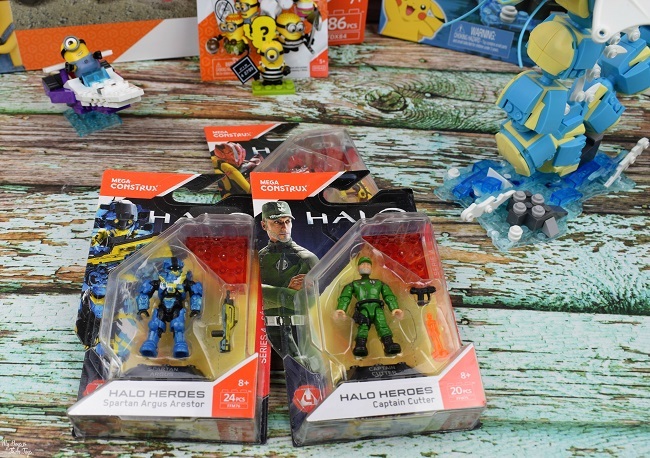 Enter below for your chance to win 3 Halo Heroes figures! How cool are those! Those would make great holiday gifts and it’s a great and fun way for the kids to unplug! Toys that are not only fun but educational are so great. And, as the pic shows, even Dad can enjoy. Super fun for sure. My boys love these types of toys, well even my daughter for that matter. These look like fun sets to put together! My grandsons would love the challenge of constructing these!